Haredi candidate for mayor of Jerusalem says he 'fears for his life', was forced to abandon apartment following harassment by Neturei Karta. The haredi candidate in the upcoming mayoral election in Jerusalem says he has been forced to move his family out of their Geulah-area apartment, following a string of attacks by anti-state haredi extremists. Yossi Deitch, a deputy mayor and one of the leading candidates in the mayoral election in the capital, says he was forced to move out of the Geulah neighborhood – a predominantly haredi area north of Jaffa Street in central Jerusalem – and feared for his life, following a series of attacks by fringe haredi groups on his person and property. According to a report by Channel 10, Deitch has lived in the Geulah area for the past 10 years. Since he declared his candidacy for this October’s election, however, he has been systematically targeted by fringe elements within the haredi community, including members of the anti-Zionist Neturei Karta movement. Members of Neturei Karta have regularly harassed Deitch, hurling eggs, fruit, and vegetables at him. This January, Deitch was attacked twice in a single week on the street in the predominantly haredi neighborhood of Meah Sharim, near Geulah. Since then, extremists have targeted Deitch’s home as well, holding protests outside of his residence and hurling objects at him when he steps out. 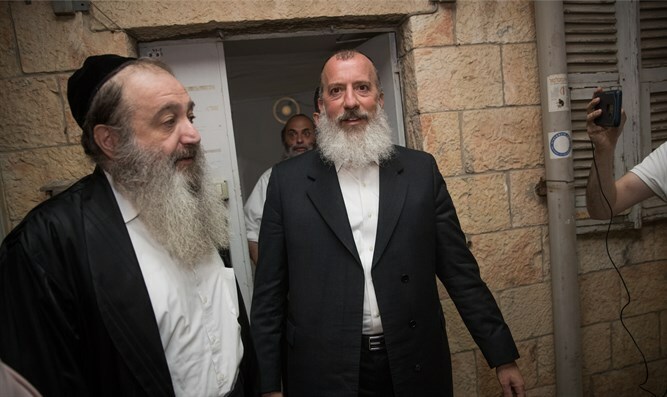 According to a representative of the Agudat Yisrael party, the extremists targeting Deitch have also made explicit threats on his life because they “view him as being a liberal haredi, and a ‘collaborator’ with the Zionists”. Deitch reportedly turned down police offers to provide him with a body guard, citing concerns that it could “involve desecration of the Sabbath”. In lieu of police protection, Deitch has moved out of Geulah, to live with relatives in another neighborhood in Jerusalem.